Whether you’re shopping for your first cell phone or renewing a cell phone contract, finding the best cell phone plan can be a bit overwhelming. There are so many carriers to choose from and so many plans available (and I’m not even considering custom cell phone plans), it’s important to take some time to think about it. Hopefully this article will help you pick the best cell phone plan. The best cell phone plan is the one that perfectly fits your needs and thus the first and most important thing to consider when shopping for a cell phone plan is YOURSELF. You need to connect to your real needs, not your publicity-induced buy-this-cell-phone-now-and-make-lots-of-friends needs. • Why are you looking for a new cell phone plan? If it is not your first plan and are considering a change, it is probably because your current plan isn’t the best cell phone plan for you. Are you busting your minute limit every month? Do you need to make more long distance calls? Are you looking into a data plan to access the internet? Or maybe you realized you don’t need to pay for such an expensive plan. If it’s your first plan, what are you hoping to achieve by getting a cell phone? What will be its primary purpose? • How many daytime minutes do you need? Do you really speak on your cell phone a lot during the day? Maybe you can get away with a plan that offers you only 150 minutes during the day per month but has unlimited nights and weekends as it would save you a lot of money. Try to estimate the number of minutes you are going to spend talking on your cell phone during the day. • Do you need unlimited nights and weekends? If you use your cell phone for business, maybe you don’t really need unlimited nights and weekends as you are going to spend most of your cell phone minutes during daytime – maybe you’d be better off with a cell phone plan that gives you 1500 minutes to use anytime. If you use your cell phone for personal use, it is most likely your will be using it a lot during nights and weekends. Again, try to estimate the number of minutes you are going to spend during nights and weekends. • Long distance / roaming calls? If you are traveling often or have friends and family living outside of your local zone, it might be interesting to research cell phone plans that have long distance minutes included to avoid expensive roaming fees or long distance call fees. How many minutes per month do you think you will spend roaming or in long distance calls? The best cell phone plan for you might have unlimited long distance calls in your region or nationwide. • Do you need text messaging? How often do you use text messaging? Do you receive and send text messages a lot? If so, it might be worthwhile to consider a cell phone plan with text messaging, especially with some carriers now charging for received text messages as well, whether they are solicited or not. If you already have a cell phone, you can look at your previous SMS usage to find out if getting a plan that includes a number of text messages every month is worth it. • Do you need a data plan? Transferring data like ring tones and wallpapers from the internet can cost you a LOT of money if you don’t subscribe to a data plan. If you plan to transfer data from the internet a lot, browse the web or download a lot of games it is probably worth looking into a data plan. If, however, you want to use the internet only to occasionally download a song, a new wallpaper or ring tone, you might want to investigate other ways to transfer these multimedia elements to your cell phone, like downloading them on your computer and transferring them to your cell phone afterward. • What about family cell phone plans? Some cell phone plans will allow you to have more than one handset linked to the plan. You then have a common pool of minutes that are shared between all the handsets. This can be a handy feature for a small family as it can save you a lot of money – adding another cell phone to a family plan can cost as little as 10$ per month. If you think this could be applicable to your situation, you can try to determine the needs of your family as a whole in terms of talk time and features and see how much money it would save you. Cell phone plan contracts allow you to buy a cell phone for much cheaper than the standard retail price (and often the carrier will give you one for free). These contracts however can be very long (3 years is a long time to be shedding 75$ a month for). It’s up to you to decide whether or not the best cell phone plan for you comes with a contract, but put into balance the amount of money you’ll be saving on your cell phone purchase versus the amount of money you’ll be forced to spend for the duration of the contract and ask yourself if it is really worth it. 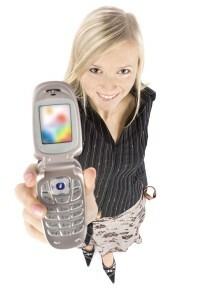 What about prepaid phone plans? They are the best cell phone plans for an “emergency phone” and for people who aren’t planning on using their cell phone too much. They can be very cheap and some prepaid phone plans allow you to accumulate your unused time month after month. Also, they don’t require you to sign a contract and this is a major plus for some people. Once you have established your basic cell phone needs, you can start shopping for a cell phone and a carrier. Take your time and do your research well and you will be a lot less likely to get caught in a plan you didn’t want! Hopefully by now you have a better understanding of what the best cell phone plan is for you.